Turn round to face the Largo Santa Susanna which we’ve just walked through. You’ll see two churches on either side of this square. 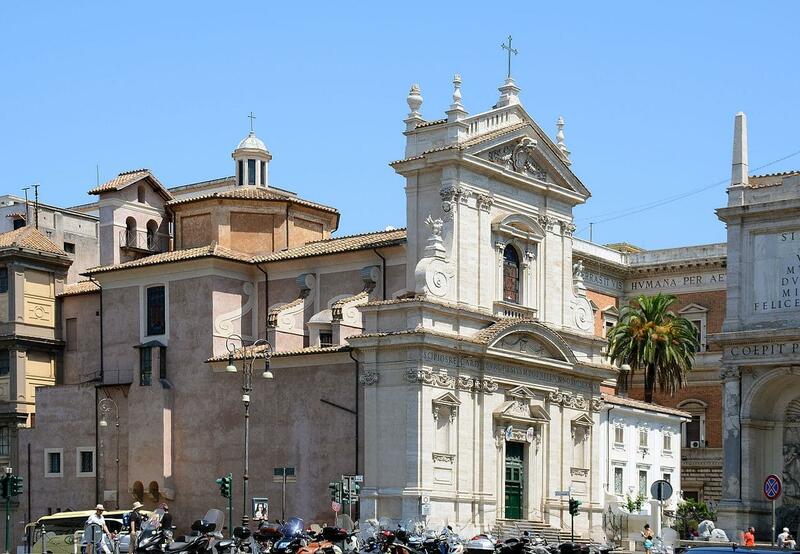 On the left is the church of Santa Susanna and on the right Santa Maria della Vittoria, Our Lady of Victory.